On my day off last weekend, I was preparing breakfast thinking what the next recipe on the blog is going to be… As on most Fridays, I had carob molasses and tahini – my favorite combo of all times. I told myself I should make a post about carob molasses, not today, probably towards the end of summer when fresh carob is in season. Suddenly, the image of my grandmother cooking carob pudding came to my mind. That must be more than 17 years ago and I realized I haven’t eaten it since. I called my aunt for the recipe and I tried it on the spot. It was AMAZING. I think it’s going to be my new favorite treat for a while. 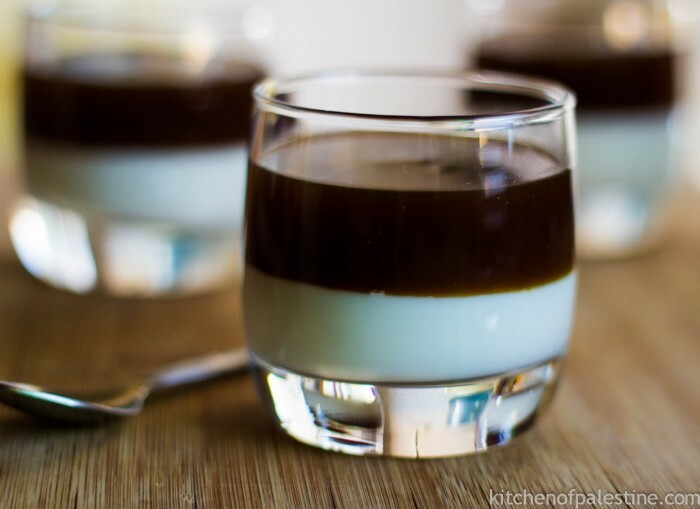 Carob pudding has a rich and creamy flavor and requires a few ingredients; milk, sugar, cornflour, and carob molasses which can be found in middle eastern stores or online. For milk pudding, place a deep saucepan over medium heat. Add cold milk, 1 full tablespoon of cornflour, and 1 tablespoon sugar to the pan. Stir frequently until the mixture is starting to boil. Taste it in order to adjust sugar based on your preference. Leave the pudding on a low heat and keep stirring until it gets thick and bubbly. Pour pudding mixture into individual serving bowls, making first layer of the dessert (make sure to fill less than half of bowls) . Leave to cool. Meanwhile, place another saucepan over medium heat for carob pudding. Add 1 cup of cold water, 1 full tablespoon of cornflour, carob molasses. 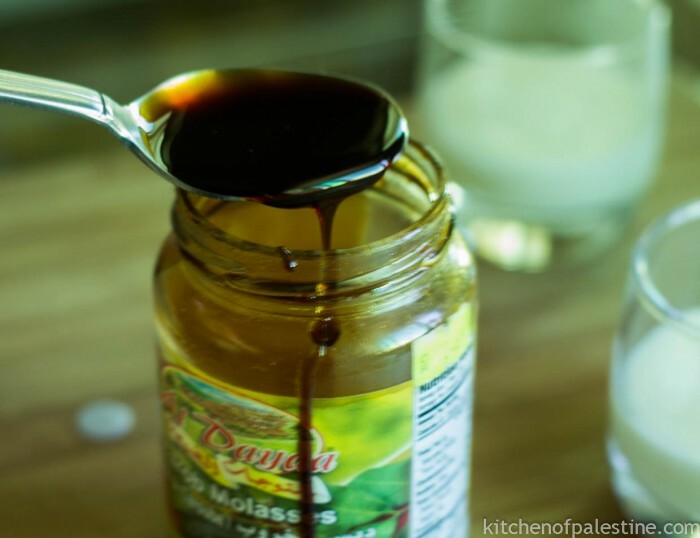 Stir to dissolve both molasses and cornflour in water. Keep stirring until it's boiling and thickened. 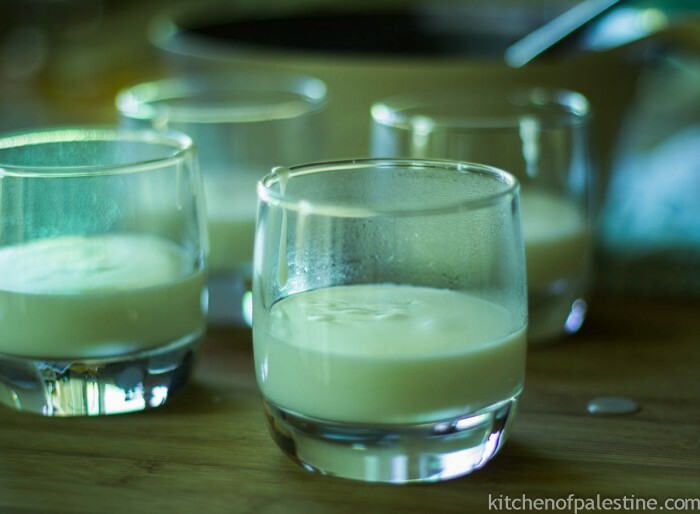 Pour into same bowls over milk pudding. Leave to cool, then transfer the fridge for couple of hours. 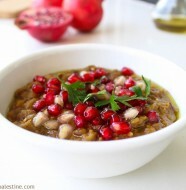 17 Comments on "Carob Pudding (Khabeesa)"
For me, this recipe has a lot to prove; it doesn’t have the most appealing name in Arabic, and carob doesn’t rank high in my list of favorite food. But on the other hand, the idea of putting carob molasses and milk together is interesting. Heck, the idea of having molasses out of carob is intriguing by itself. Plus, it’s quite photogenic ! 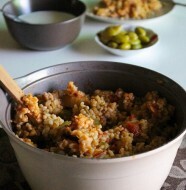 Although I do not like Khabeesa (I never tried it until recently), I made this recipe for my Palestinian husband. He LOVED it and said it tasted like his mothers (which is always a plus right?) and I was surprised at how easy it is to make! Thanks! 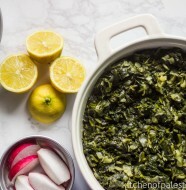 I don’t know if you ever cook kershat (lamb stomach), but I would love to find a recipe for it. As for karshat, I’ve never even tried it. But I know someone does it the right way. I’ll get the recipe and send it to you.. This is wonderful. 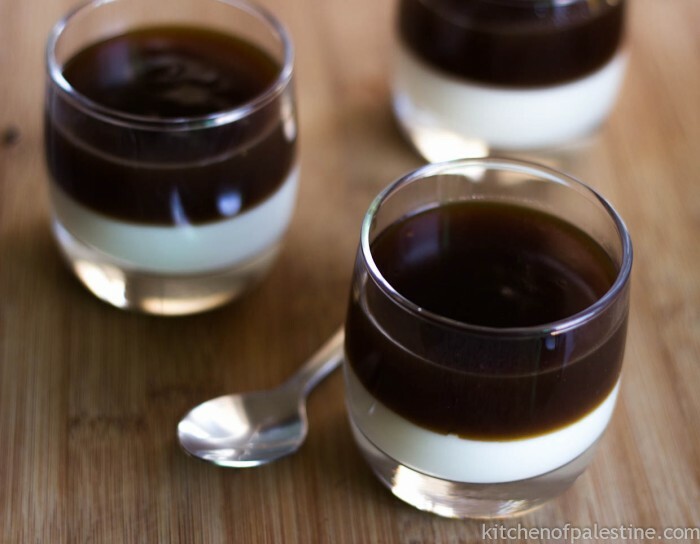 It’s really like English “custard” that comes in a cardboard tin like Bird’s (though they flavour the cornstarch) and love the idea of the carob molasses! Thanks for your BEAUTIFUL blog. Am writing a piece on my WordPress site that links to you. Will let you know when I finish it. Lovely! I am really amazed! I didn’t expect this authentic desert to be here. Thank you Feda for your comment.. I wish if I can collect all authentic recipes and post them here but sometimes it’s not easy to find someone who is still cooking some old recipes like “kullaj”..
I’ll look for powdered carob and try it out, I imagine its flavor would be richer. Very interesting recipe Eman. i’m plaestinian but have never heard of this pudding. I would love to give it a try. Egyptians make a drink from Carob that my dad really likes.